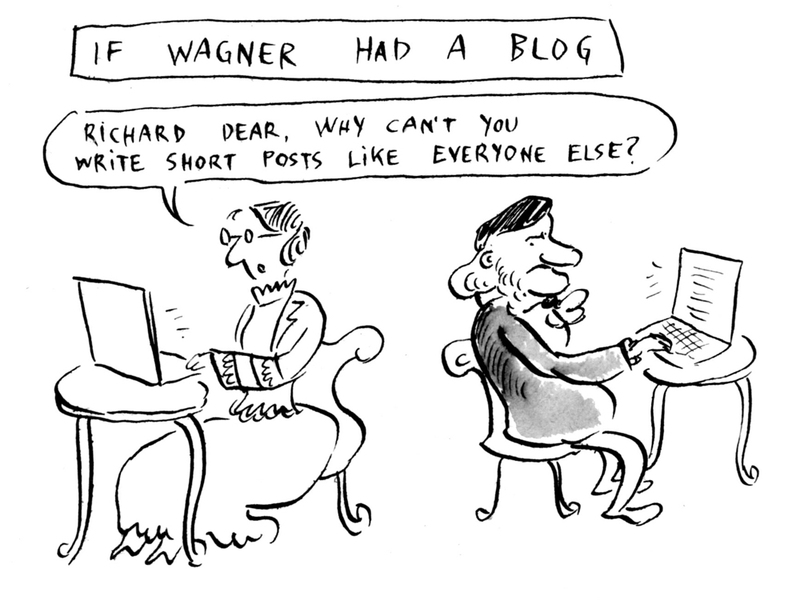 Classical Cartoon At Noon: If Wagner Had A Blog : Deceptive Cadence Every Friday, it's a Classical Cartoon at Noon, at Deceptive Cadence. Got an idea for a classical cartoon? Please leave it in the comments section.